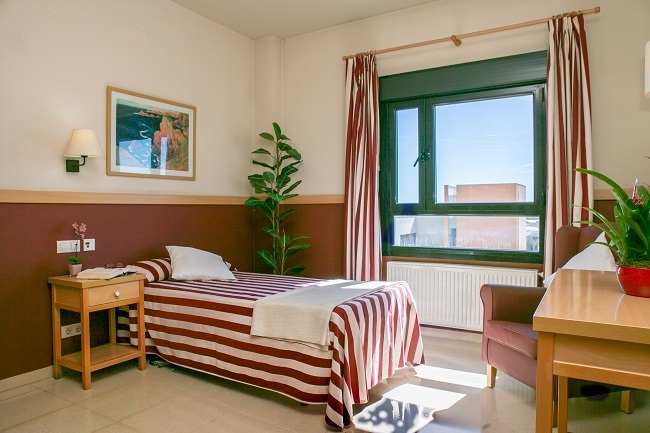 The DomusVi Ciudad de Móstoles Nursing Home for Elderly People is equipped with modern, light and airy facilities and spacious terraces which guarantee a comfortable, pleasant stay. It has a large, outdoor garden, where our residents can enjoy therapeutic walks and leisure activities. The nursing home for the elderly is designed to encourage personalised care, with different independent cohabitation units. With its own dining room, living rooms and other facilities, people live in these units according to their needs. 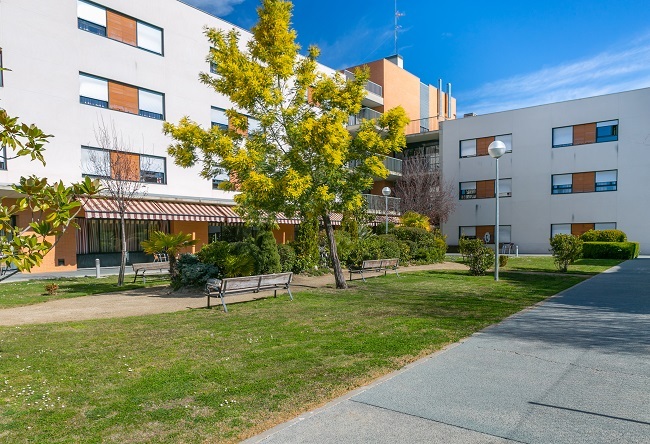 The DomusVi Ciudad de Móstoles Nursing Home for Elderly People is in the peaceful residential area of Móstoles,very close to the hospital. It is within easy reach of Madrid and the rest of the metropolitan area. Transport: L1, city bus route / bus route 520 from Alcorcón / bus routes 521 and 523 from Príncipe Pío (Madrid) / The centre has its own car park. SARquavitae Ciudad de Móstoles has both private and partially subsidised places with the Consejería de Asuntos Sociales de la Comunidad de Madrid.